Fri., Mar. 22, 2019, 9 a.m. – 5 p.m.
2019 marks the centennial of the Bauhaus, and Harvard is celebrating! The Bauhaus, considered the 20th century’s most influential school of art and design, has deep connections to Harvard. 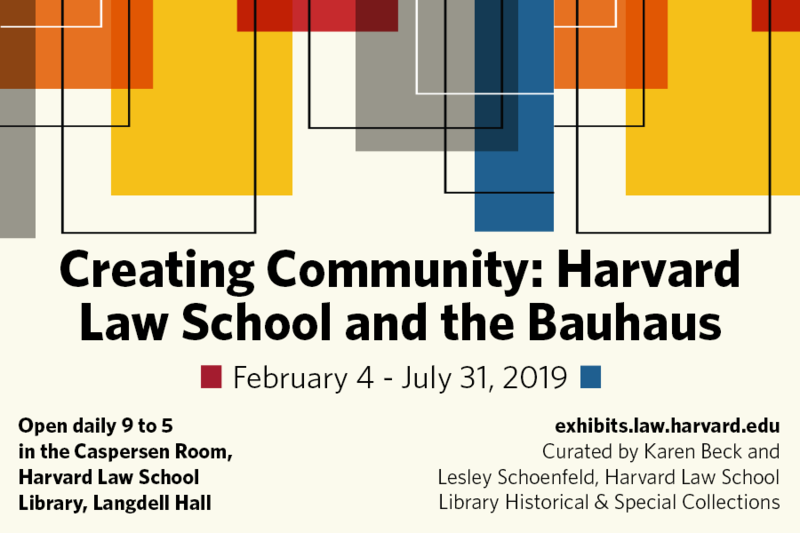 Explore HLS’s connection to the Bauhaus and its role in shaping campus life.